ENUGU— Renowned Enugu-based spiritual leader, Prophet Anthony Nwoko, has revealed that the incumbent governor of Anambra State, Mr. Willie Obiano, will be the last governor of the State pending the emergence of the Sovereign State of Biafra. In a chat with The Biafra Times Correspondent in Enugu, the fiery prophet also said that President Muhammadu Buhari whom according to him, will not die but live to witness the rebirth of Biafra from Nigeria, is going to be the last democractically elected president in Nigeria. According to the cleric, “I want to use this opportunity to tell my people, Nigerians and the whole world that 1000 years is like a day in the eyes of the Lord. The Spirit of God have anointed me to proclaim this goodness. He added that, “President Buhari will be the last democractically elected president in Nigeria. The Heavens have come to clean up the mess. I made Buhari to understand that contrary to speculations when he was in London, he’s not going to die in office but live to see the glory from Biafraland. “The same Buhari came out from the hospital bed and Biafrans were massacred. I did not use the spiritual power given to me from the spirit to destroy Buhari but I rescued him. The cleric also urged those warming up to participate in the scheduled 2019 general election to stop wasting their time as there will be nothing like election come 2019. According to him, for refusing to let the light in the East shine, Nigerians have angered God and unless they do so, there will be no election in 2019. “Obasanjo’s presidency in 2019 brought God’s anger to the nation for refusing to allow the light of the East lead the nation in the year 2000 as God declared. “PDP, APC, etc, should forget about their ambition, there will be no election. Those clamouring for power in 2019 are dreamers because all power belongs to God and no nation has fought God and lived to tell the story. “All have sinned and fall short of God’s glory. He said that if they continue to fail to allow God’s light to shine in the East, there will be no election. God’s time is imminent. Nigerians have disobedied God,” he stated. The cleric specifically advised the former Abia State Governor, Orji Uzor Kalu, against plans to contest for president come 2023, saying that Biafra has emerged and has come to stay. Therefore, he should forget about his ambition and that he will soon bow to God’s glory in Biafraland. Prophet Nwoko testified that since 1987, the Nigerian government through the Churches in the Southwest, has been waging war to ensure that the glory in the East do not manifest and that “inspite of all their evil machinations, God has finally come to restore the Biafra nation. Nwoko also challenged the former Head of State, Gen. Yakubu Gowon, Vice President Yemi Osinbajo and religious leaders in the Southwest to come down to the East to witness the glory of Christ the second time. He said that problems and afflictions persisted in Nigeria because the political leaders has failed to harken to the voice of God, warning that if nothing is done immediately to solve the problems before the year runs out, President Buhari and his government will be inviting the wrath of God which will do nobody any good. In the same vein, he called on the Ministers of God from the Southeast, including those in IPOB whom he described as God’s chosen vessels, to come out to welcome the blessings of God in Igboland, saying that will neutralize all their problems. He admonished the Biafrans to wake up from their slumber and take the glory of Biafra being brought to them by the light of the world, even as he urged them to eschew hatred, discrimination and embrace peace and harmony. 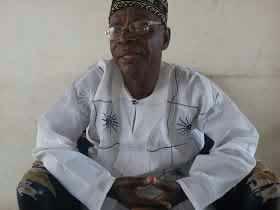 Nwoko also stated that the proscription and tagging of the Indigenous People of Biafra, IPOB, as terrorists proved that Biafra is God’s mandate led by the Holy Spirit and that all these will soon fade away, adding that the sudden disappearance of the IPOB leader, Nnamdi Kanu, is a necessary spiritual arrest, and that by the time God finishes his work, he will appear and all detained activists will be released.